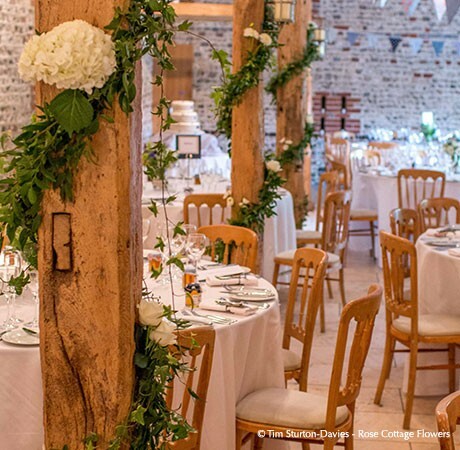 The South Barn at Upwaltham Barns is a fantastic setting for your wedding breakfast and evening reception. The spacious barn has wooden beams and a neutral colour scheme to complement your decorations and there is plenty of room for a band or DJ for your evening party. Whatever the time of year, the South Barn has a lovely warm atmosphere and the adjoining Stable Bar has a comfortable seating area and wood burner.